Frozen is an endearing fairy tale about two princesses, their dreams, desires, fears, self-discovery and above all, unconditional love for each other. A 'snow queen' of sorts, Princess Elsa has the power to create snow. Everything she touches turns into ice. A deadly mishap convinces her that she is born with a curse. Ashamed and heart-broken, she distances herself from the world and goes into a self-proclaimed exile. Clumsy and vivacious, younger sister Anna is kept in the dark about Elsa's secret, until their kingdom bears the brunt of it. 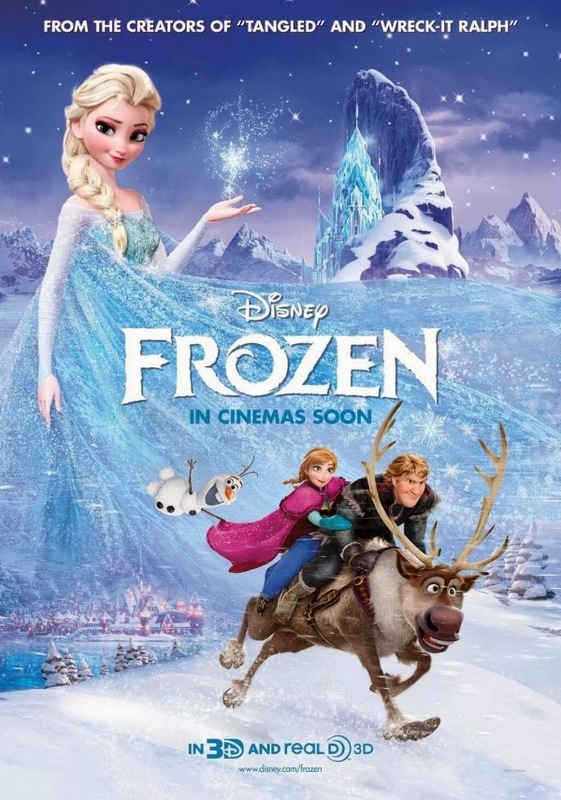 Can Anna rescue their kingdom from Elsa's uncontrollable icy powers? Will the sun shine upon their snow-clad kingdom again? Can the two rise above their insecurities and imperfections for the well-being of their people? Visually stunning and emotionally arresting, Frozen is clearly the best animated film of the year. It's an incredible journey of a brave girl, who sets out to find her sister - the reluctant ice-queen with the help of an adorable snowman and an unconventional 'prince charming'. It is nowhere the 'cliched' fairy-tale, with an archaic view on women. The film introduces the new age Disney princesses, who no longer wait to be rescued. They are brave, uninhibited yet vulnerable and sacrificing. While snow looms over the kingdom, it's the goodness of people that keeps the fire burning. The songs are melodious and meaningful, while the 3D enhances the beauty of it all. Also, Frozen redefines Disney's quintessential 'true love' theory. Even if you are not into fairy-tales, you'll love this one for it's unpredictable and thus keeps you engaged throughout. It's not about seeking happiness with someone else, but being happy with who you truly are. There's a lovely line that Olaf, the snowman, says in the film - Some people are worth melting for. Likewise, even if you are not too fond of snow, some love stories are worth freezing for! Do not miss out on this magical journey of love and self-discovery.